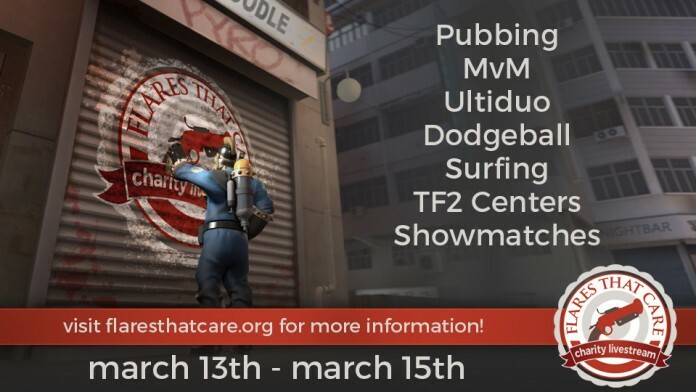 Flares that Care, an independently-organized charity event, was scheduled to take place throughout this weekend with several notable Team Fortress 2 players gathering to raise donations for Child’s Play. Unfortunately, the event was cancelled due to the shady business of one of the organizers. Suspicions were raised when it was announced that they would accept in-game items as donations toward the cause. This was problematic as these digital items lack a fixed value and would need to go through third-party transactions rather than the direct route to Child’s Play that would be done with Paypal donations. This prompted Reddit user Digresser to investigate the possibility of a scheme going on behind the scenes and found some troubling information. You can read about all of his findings here. To summarize Digresser’s findings, it was discovered that, while most of the organizers of the event have clean reputations, two active members have histories of scamming players for valuable items. Of particular note is organization co-founder Snoven who, after a falling-out with fellow co-founder B_Red that had resulting in B_Red leaving the group, was left with sole authority over the account that was handling the donated items. After some investigation, it was discovered that Snoven had previously used another Steam account called AmethyzFox that had openly bragged about carrying out scams over Team Fortress 2. Along with Snoven, Public Relations admin Plotchy also has a history of these kinds of scams dating as recently as early December of last year. Suspicions were proven valid when Snoven announced that the Flares that Care event was cancelled, preemptively donated items would be returned on request, and that he was going to change his account once again in the hopes of seeing this all blow over. Snoven is claiming that the event was his attempt at turning over a new leaf, but his reputation clearly indicates that he can’t be trusted with handling so many valuable items in a way that no outside parties can keep track of. 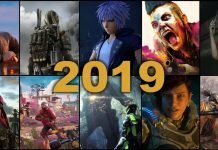 Many of the prominent players that were scheduled to take part in the event have proclaimed outrage over the scandal and that they nearly contributed to it. It’s heartbreaking to see such a worthwhile cause go to waste because of someone’s get-rich-quick scheme. 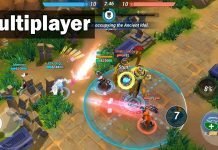 Some members are trying to salvage the event, but its reputation is undoubtedly tainted following everything that has come to light and many of the celebrity players have no interest in returning. With that said, Child’s Play itself is still a great charity organization and you should consider donating to them directly at their official website. Just be wary of potential scams like this going under the guise of charity and make sure you know that donations are being handled responsibly.